Laser engravers, or laser-cutting machines, as they are popularly known, are fascinating devices with a variety of utilities. These are powerful, highly precise instruments that can operate on a variety of different work-surface materials. The learning curve is a bit steep, especially for beginners. The engraver software can also be a bit spotty, requiring some patience, especially if you need to contact foreign-language support. That said, these are really cool and fun devices to play with – customers report using the devices for a variety of applications, from personalizing wood pens with custom-logos to inscribing intricate designs onto paper. Typically, the home laser engravers items below are not strong enough to be able to engrave onto metals but are best suited for materials like bamboo, plastic, rubber, leather and paper. Check out the professional strength laser engravers to view more powerful alternatives. Equipped with a 300mW violet laser head, Sunwin’s engraving machine is perfect for engraving on plastic, hard wood, rubber, leather, bamboo and many other work surfaces. This engraving machine has a very cool-looking design and has high precision with maximum engraving area of 38×38 mm. It comes in a package which includes: protective glasses, adapter, TF card, Allen wrench and 2 USB cables. Weighing 1100 grams it comes in 2 color variants: White and Black (with and without engraving preview). Only a few customers have left reviews but they were reassuringly high ratings. 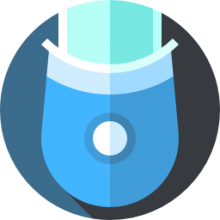 However, one customer did note that the engraver’s software was flagged by their antivirus program – but this is a minor issue, likely because the virus database was unfamiliar with the software the engraver uses. Keep in mind that this machine cannot engrave on any type of metal or glass. This engraving machine, also produced by Sunwin, is a bit more powerful and comes in 3 different variants: 200-250mW Red Light, 300mW Violet Light and 500mW Violet Light. 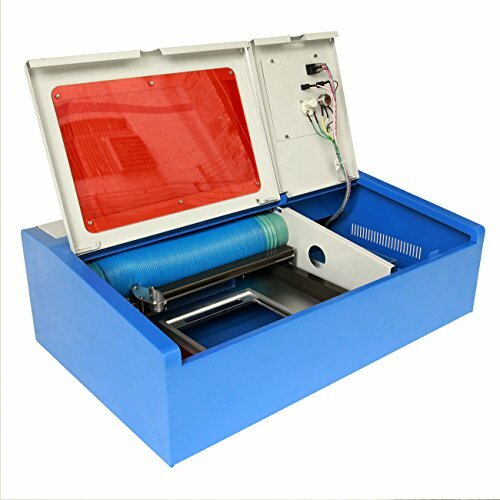 Capable of engraving on processed material such as wood, opaque plastics (phone casing), cardboard, paper, ox horn etc., it is ideal for amateur laser engravers. Many buyers that we surveyed were pleased with their purchase, but some were dissatisfied, saying they couldn’t get the laser to work even after Sunwin sent “help” in the form of software and internet links. Poor English fluency hobbled support’s ability to resolve the problem, the user noted. It is evident that Sunwin has software issues and it takes time to make the engraver work properly by correctly calibrating it, which some of the customers managed to do. On the bright side, free shipping is included with the purchase. Equipped with one 40W water cooling tube and high precision stepping motors, this CO2 laser can engrave on various materials such as bamboo, planks, boulder, crystal, horns, leather, acrylic, plastics, etc. It connects to PC via USB port and comes with MoshiDraw software which can be used for both engraving and cutting works. Customers have left mixed reviewsand according to one of the customers, software is the only weak spot of this product. But if you know how to use image editing software you can create your own images and feed them into the software without using actual software tool. Overall, this is a nifty little device. 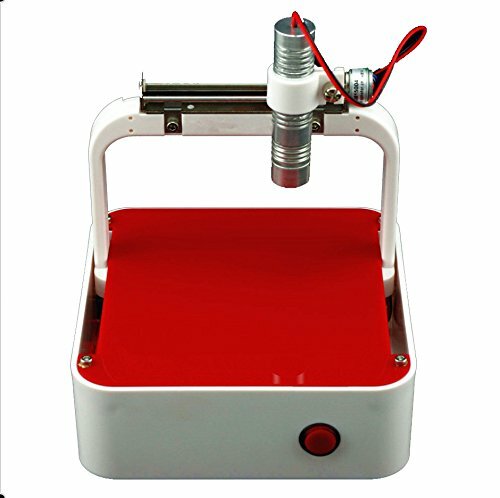 This mini red-colored, engraving machine is powered solely by USB and equipped with 250mW laser with a pretty robust maximum engraving area of 80 x 75 mm. It can work continuously for 5 hours which makes it great for engraving large emblems on soft material such as wood, bamboo, plastic, cardboard and leather. One of the customers complained about its speed, but really liked this machine’s large engraving area capable of engraving a 2” emblem on a piece of wood. With a fairly ‘average’ customer endorsement, this mini laser engraver is ideal for amateur engravers and experimenters with a low budget. 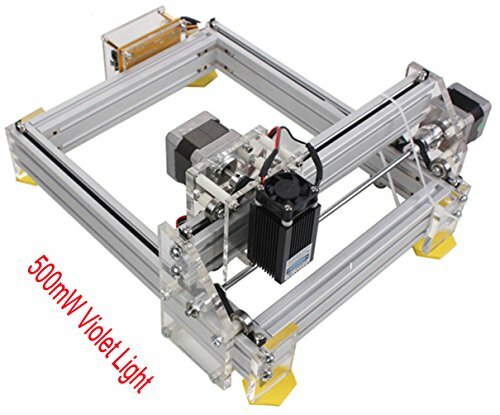 Designed for long time use, this mini laser engraver comes in 2 power variants: 300mW and 500mW. It has a strong and cool design, high precision and stability and it is very easy to use. With a pretty small price tag and free shipping included, this engraving machine is perfect for experimenters. Materials supported for engraving are: wood, plastic, rubber, leather with a maximum size of 12cm in width, 4cm in height and unlimited in length. Maximum engraving area is 38×38 mm, which is pretty standard for low-budget laser engraving machines. This product comes in a package with protective sunglasses, Allen wrench, TF card, adapter and 2 USB cables. 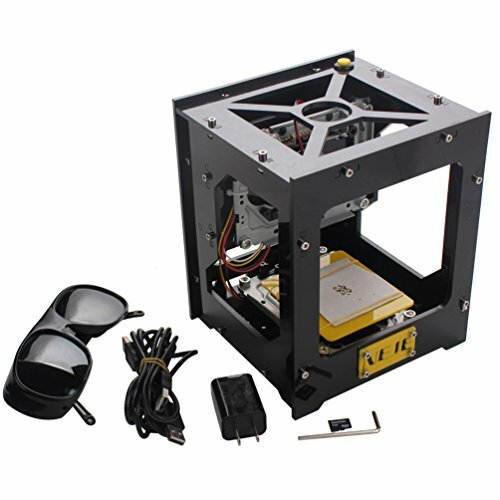 Is a Home Laser Engraver Right For You? While the laser is engraving, the top surface of the workpiece is melted and becomes vaporized due to the extremeley high temperature produced from the laser beam. This is technically known as material removal. The recess that is created on the surface of the work area in this manner turns into the engraving. Laser engraving happens to be an amazingly dynamic processing technique. The result of the high temperature may be used to process many different material types. A range of materials can be processed this way, including wood, cardboard, paper, textiles, plastics, and plenty of other materials using one of the laser etching devices listed above. The visual and graphic material that is to be engraved is normally delivered by way of engraving software straight from the attached computer software program to the laser engraving unit itself. The outcome is smooth data processing, allowing for quick alterations to the image. Additionally, the laser software’s positioning function minimises work material waste. Laser engraving is probably the top and most precise processing method within the engraving business. Because of a resolution of up to 1,000 ppi (= 39 pixels per mm) finely detailed designs are easily engraved precisely on even the minutest work surfaces. As well, laser engravers typically utilize a non-contact process, which means that there is no mechanical deterioration of the unit and helps to ensure that the laser engraver has a healthy functional life. You simply need to routinely clean your laser engraver, particularly the focus lens – this sort of upkeep will ensure that you don’t have to visit a site like ours to purchase another one anytime soon!